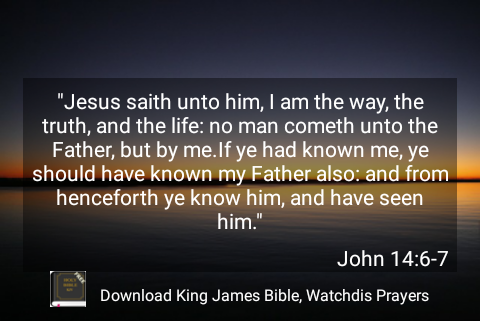 Jesus is the way, Yes the way to the father! Jesus came so that the promise might manifest. From the days of the prophets the promises of God for us can be summed up as one, The holy ghost! You’ve seen it all, we are the remnants the Lord has called, unto whom he has poured out his spirit. That when we call upon the name of the Lord by his spirit we shall be delivered! Delivered from sin, delivered from shame, delivered from temptation, delivered from the devil and his agents, and also delivered from all evil! He has given the life almost a million years ago! How then do we receive that life? It’s by the holy ghost! What is this power gave he to us? It’s the holy ghost! The holy ghost brings the power. Jesus came to pave way for the holy ghost to manifest, to manifest in the lives of the elects. In the old testament the holy ghost was reserved for the prophets and priests only. Now even the servants can receive, gentiles like you and I can have him! By reason of the one who shed his blood. Now you understand, Jesus will only appear in extraordinary circumstances as in the case of Saul and the likes we have today. When Jesus said I’m the way, didn’t you ask the way to where? Is it Dubai or Australia?The way to America? No! The way to salvation! The holy ghost is the salvation of God as we read in Roman’s 8:14. Therefore beloved having said all, rise up today and call upon the salvation of God to help you. Ask him for anything he’ll give you, anything at all, even tickets to Dubai of course! In summary, even if you’ve accepted Jesus open your heart to the holy ghost because it is who will teach you all things. Be quick, He’s waiting for you! N.B. for those who wants to give their lives to Christ check the menu for confessions. ​1 John 5:16-17 If any man see his brother sin a sin which is not unto death, he shall ask, and he shall give him life for them that sin not unto death. There is a sin unto death: I do not say that he shall pray for it. Beloved telling you the truth, there’s a sin unto death. Yes, all unrighteousness is sin, but there’s a sin unto death. A sin unto death in the spirit. That after committing that sin immediately the spirit-man is put to death. There are some wrongs we commit that might take some time to process its death certificate, but there’s a sin when committed, is issued a death certificate immediately. It doesn’t have to wait till the person dies and appears at the judgement seat before it is sanctioned! No! It’s judgement starts immediately. It is the sin against the body;- Fornication! They’re all called fornication. The sin unto death! Why? Because there are three which beareth witness against you? Because there are three that beareth witness in heaven; the spirit, the water, and the blood. Yes! They bear witness to the father, the word, and the spirit. When you fornicate, you do so with your spirit-man within, the blood flowing through your veins and the water in your body. That is why Jesus had to shed his blood, spill his water, and yield his spirit on and before the cross; so that he can redeem man from the curse of death(the law). These three represents the facets of mankind; The three images of God in which man was created. You see why it is sin unto death, because when your spirit bear witness against you, who can support you? A man can tell lies, steal, even kill another without his spirit agreeing with him simply because he was under possession and compulsion by another spirit to commit such acts. So what the Bible is saying is that fornication is a deliberate act. Beware! Flee from it. How to Live and not die! The world is growing to be one of the saddest places to be especially in Nigeria: manslaughter, kidnapping and all The inhumane sinister acts committed daily in The nation. I wish I have the power to save, meanwhile as I have not, I sympathise with you and share my empathy with you. I’ve been doing a lot of thinking lately, what do I deal with all these disappointment, dejection and depression? I’ve searched for hope and I found none, even in the church! So I gathered my strength and put on some courage to look into my Bible; searching and searching at least there’s a word here that can fill this void? What I see is contrary to what I’m reading? Why does it seem as if I’m making no progress, talk less of prosperity? Why am I not Prospering? Why? What I feel right now is for me to take my life and put and end to this misery of mine? Can’t I just take my life and end the shame? I have no power to stop you from thinking what you’re thinking, but I can encourage you. The world is the reason why nothing is working out! Christ has overcome the ‘world’that devastating situation, that rejection, that shame, that stigma, that inocucous problem! This is the best part, after all this, you still have to live, no angel will appear from the blues and say some magical words to make the whole situation disappear! It’s funny but our natural man needs to be taught how to live. Our spirit man is The one who just got lifted by the ‘word’, there’s a man who’s not accustomed to that yet. I know you know God loves you, yet you need to love yourself. Loving yourself means accepting yourself I’m not saying you’re not perfect cause you are since you’re like him! Make your flaws your strength . You need to remind yourself that you’re perfect like him, not the other way round. In this process you’ll learn new things about YOU that you never knew. Embark on a self journey; a journey of self discovery.Knowing who God made you to be. The easiest way is trough thé bible.When God says you’re strong, why then do you say you’re weak! Discover YOU Not the physical you who puts on pretensive smiles like everything is alright when it isn’t. When you accept yourself you appreciate yourself. You know your strengths and weaknesses so that in a time of weakness you can be strong. When the world calls you a failure, you know you’re more than a conqueror because that’s who Christ called you to be. Now you know yourself,after flipping through the pages of that holy book my heart rejoices and my spirit man is happy because a I can see hope, even if it’s just a glimmer;at least there’s light at the end of the tunnel. Which means that trials and tribulations are fake,mirage that will fade away suddenly,you won’t even know how! My weakness is discouragement and dejection that’s why I’ve come to encourage you not to die, but live with me! So we can walk this road together whatever weather through the storm because we’ve got to make it, we can’t be shamed! Beloved I encourage you be Strong in the Lord; in HIM you have your being! You’re welcome to LIVE with me. I remember how I was rejected olotuFunke.com I can relate. I remember it’s my one year anniversary after NYSC without any tangible job yet, and I’ve been applying. The most shocking news is that a bank where I’ve interned in before sent me a message this morning that they wouldn’t be picking me since I made 48% instead of the 50% cut off. This is just one out of the numerous rejections I’ve suffered over the past one year. I’m positive and praying cause I know my YES! is coming. Out of a million no is one YES! One YES! for me. I’ve learnt that it is not the end of the road. It is only men who have said No, God has the final say! Yes. Cheer up don’t give up, Christ has overcome the world for you. It means that Christ has been through this before, it’s just a storm that will never last. You’re not allowed to take your life for it, what come, what may. I’ve learnt how to live. I learnt that life goes on, The earlier you got up to go on with it, the better! Else it leaves you behind. I know there’s something you like. There’s something you’re good at. There’s something only you can do best. Sit back, relax , and think. Think about your likes and dislikes. Reflect on the positive compliments and remarks people have ever said to you, there’s got to be some answers in there,somewhere. 4) Give yourself space, breathe! Yes take a deep breath and say it is well. Things are gonna get better. Joblessness has got to go, Yes! your appointment letter just have to come. There is something you were doing before disappointment came and it was as if you were doing okay, you were fine before this. As for me,I’ll keep praying and practicing like I’d always done. Find something to do, never stay idle. In the process of waiting, there’s always something to do. Doing something is a process of growth. It could be an old skill or handwork. Open yourself to learning and grow. The waiting period is a period of unchallengeable growth and development.Don’t miss the opportunity. If it’s a vocational skill learn it, no knowledge is wasted. You check my post on ” how to live and not die” just to feel good about yourself and know that we’re in this together! Your Calvary experience comes the day you give it all. Yes! The day you surrender all, everything to Christ. The day you lay it all down at the foot of the cross, looking up to Jesus, you ask for mercy because you feel like the most wretched person in the whole wide world despite all the money you have. To some it is instantaneous; it comes immediately they confess Christ, to others it takes time. Calvary experience is done by the holy ghost. It is the first step of sanctification by the holy ghost. It depends on how quickly your spirit man is convinced and your conscience purged. I remember being sober and calm, asking for forgiveness and seeking for mercy. I remember promising Jesus that I’ll love him and never ever leave him, and immediately I gave up everything. I remember making promises and seeking for lots of mercy, after 10 years of giving my life to Christ. Not that I wasn’t saved, I was, but it was only then my spirit man was being convinced, that my salvation was genuine! Salvation comes from God to those whom he hath appointed it to. That is why he sent his spirit to facilitate the whole process. Please share with me your own Calvary experience too!!! Have you noticed the drastic change in the climate lately? Don’t be too shocked because the weather has drifted into harmattan in Nigeria, this explains the extremely hot sun and high temperature. Today, I’M sure you’re good, Tomorrow I trust you’ll be better! To ensure a better tomorrow you need to maintain a ‘Healthie’ you. To maintain a ‘Healthie’ you in this hot weather, you need to drink lots of water always, I mean lots and lots of clean water like 10-15 glasses a day or more. To ensure a better result you should add a few sit ups to keep fit! I wish you a ‘Healthie’ weekend ahead! Minding your business entails that even if you see someone digging a pit, you leave them to it!